In the wake of accidents and catastrophes, there is a vacuum waiting to be filled with facts (or rumors). At least, there used to be a vacuum. That’s because there used to be weeks or even months between an accident and the release of the official report. The Mount Vernon (Skagit River) Bridge Collapse provides a glimpse of that change. NTSB Chair Deborah Hersman held an initial briefing May 24 regarding the bridge’s collapse, followed by a second briefing on May 25. 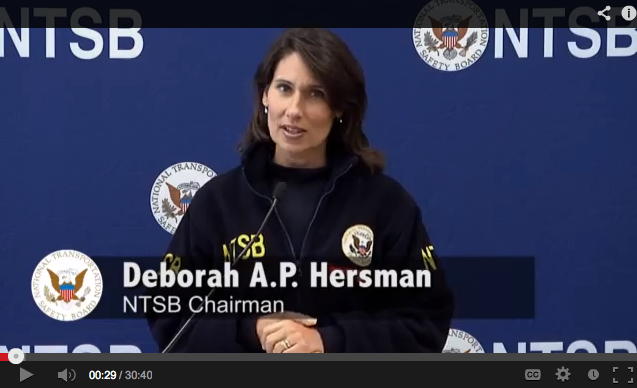 Videos of the briefings are available on the NTSB’s YouTube channel. Those types of briefings aren’t unusual. But look what happens when quotes from a briefing are distributed via the NTSB Twitter account. What are we really capturing/documenting in accident reports? What is lost when statements and interviews are summarized in reports? While narratives such as this are important elements of fact-finding research, the way in which they are written down “may inadvertently silence or render invisible the kinds of information that decision makers need to assess” accidents and make recommendations to prevent future disasters (to quote Beverly Sauer, who wrote about mining risks, see p 5 in “Rhetoric of Risk”). The remainder of this blog post explores one surprising approach to improving the depth and accuracy of accident reports that include statements made by victims and witnesses. Boeing’s 787 Dreamliner has experienced numerous malfunctions since its release. Those ongoing issues have resulted in the Federal Aviation Administration (FAA) announcing that it will conduct a comprehensive review of the design and assembly of the 787’s main systems. 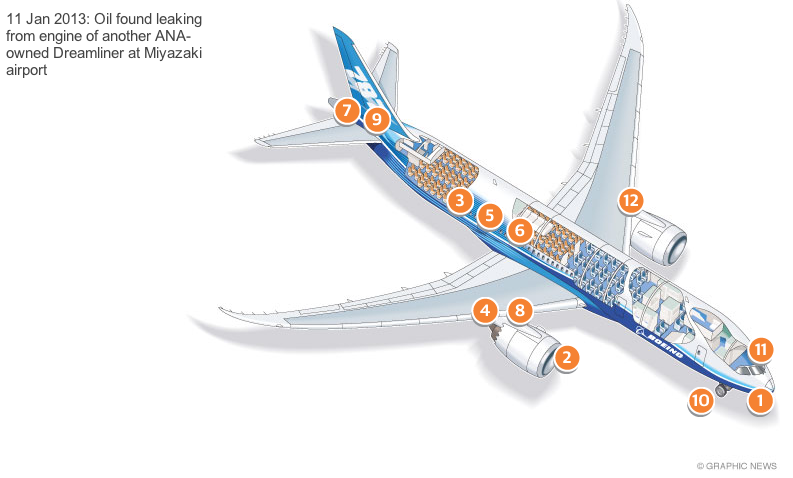 In covering the news of this announcement, The Guardian published an interactive graphic of the 787’s problems.